Classic Ironworks are experts in wrought iron balustrade designs, having the knowledge and design experience to install a stunning bespoke iron balustrade design in your home. Working to your exact specifications, we can manufacture your wrought iron baluster to fit your staircase, landing, balcony, or terrace. Wrought iron balustrades for decking are also available from Classic Ironworks, our wrought iron designs complementing all styles of home. 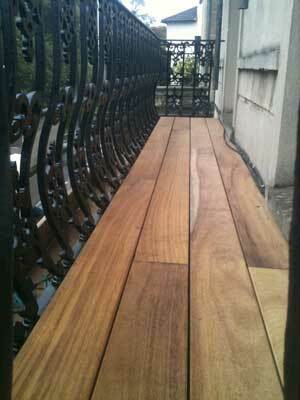 Wrought iron is our specialty, and we have several decades of experience in the iron and balustrades UK trade. We can match your existing ironwork, or create an entirely new piece, our wrought iron balustrades UK being simply stunning and available in combination with wood, glass, and any other material of your choice. Our ethos is to delivery 100% customer satisfaction, and we can incorporate designs for your iron baluster that you have seen on the cover of a magazine, on the television, or even one you have always dreamed of for your perfect home. As well as mixing materials for your staircase or balcony, we can blend styles together to ensure your wrought iron features look simply stunning. We can work with Edwardian, Art Deco, Victorian, and Art Nouveau designs, ensuring that your property is simply beautiful both on the inside and out. When you order a wrought iron staircase, balustrade, or balcony from Classic Ironworks, you make the rules. Choose from a wide range of materials and designs, allowing our expert manufacturers to use their artistic flair to make creations for your home that will be like a dream come true. Classic Ironworks are leading wrought iron UK manufacturers and installers, and we highly recommend you take the time to see just what we have on offer for your home. We offer balconies, balusters, spiral staircases, and more. As well as the manufacture and installation of your iron features, we can repair your existing balusters and balconies, using our expertise to perfectly restore all the wrought iron features in and around your home.